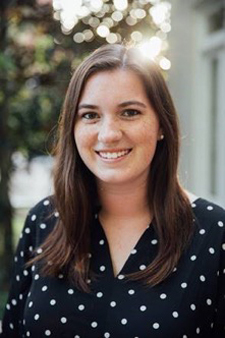 Peabody College senior Meredith Waites has been named the 2019-20 recipient of the Michael B. Keegan Traveling Fellowship, which aims to enhance the development of future leaders through world travel and experiential learning. Waites was selected from a large pool of applicants, each of whom submitted a plan of study and travel proposal in January. The finalists interviewed in February with a committee of Keegan Fellowship alumni and Vanderbilt University staff. The fellowship provides a graduating senior with the opportunity to pursue an idea or issue they are passionate about in the context of daily life in communities around the world. 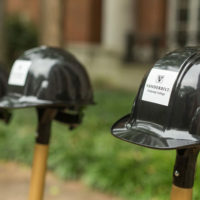 The $20,000 award will fund one year of travel, beginning shortly after Vanderbilt’s Commencement in May. 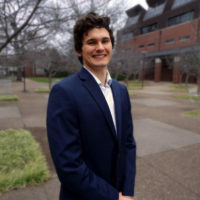 Waites, an Ingram Scholar from Springfield, Missouri, studies human and organizational development with a minor in child development at Peabody College of education and human development. Through her fellowship project, “The Global Girl: An Exploration of Girlhood and Girls’ Agency in the Classroom,” she will travel to 15 countries across five continents to discern the implications of varying definitions of girlhood and their intersections with resiliency and educational opportunity worldwide. Waites is no stranger to international travel. She studied community education for a semester at the University of Edinburgh and worked as a summer development intern to address childhood health and nutrition accessibility with the Foundation for Sustainable Development in Argentina. At Vanderbilt, she has served as the co-president for Big Brothers Big Sisters and in multiple leadership roles for Chi Omega Fraternity. Throughout college, Waites volunteered as a Girl Scout leader for girls in the Nashville community, taught piano to underserved students at the W.O. Smith Music School, and worked in operations at KIPP Kirkpatrick Elementary School. She has spent her summers continuing to advance education in her communities, developing a service-learning curriculum for Springfield, Missouri, public schools and a literacy curriculum for Girl Scouts of Middle Tennessee. “I am most excited to have the opportunity to travel to new communities and to further explore girls’ education on a global scale,” Waites said. “I am honored and humbled to be the recipient of the Michael B. Keegan Fellowship for the 2019-20 year and to be granted the chance to pursue my passions through global citizenship and understanding.” Upon her return, Waites plans to attend graduate school to continue her study of education. Waites will work with the Career Center’s associate director of post-baccalaureate opportunities, Jackie Sheridan, to plan her year of travel and learning. She will communicate regularly with Sheridan and her project’s faculty adviser, Brian Heuser, while abroad. Students may apply for the Keegan Traveling Fellowship through Vanderbilt’s InfoReady portal. 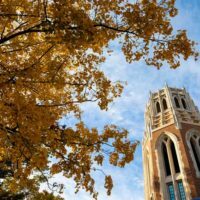 The application posting and deadline for the 2020-21 cycle will be announced in Fall 2019.